While there has been a lot of doom and gloom and hand wringing surrounding the Baltimore Orioles so far this offseason (and for good reason, as Chris Davis, Wei-Yin Chen, and Darren O’Day are free agents), let’s take a step back for a second to appreciate all of the good things surrounding the Birds. The Orioles still have an outstanding core of All-Star players, and ownership and management have made it clear that they plan to be aggressive this winter. Take advantage of the holiday season and positive vibes to be grateful about all the good things the Orioles have going for them. It does go without saying, that the savior of the franchise, Adam Jones, is still something to be thankful for. The Orioles also do not owe Pablo Sandoval and Hanley Ramirez $180 million over the remaining lives of their contracts, so there’s that. Baltimore also has the best stadium in the league (the Orioles invented that whole “leave the old warehouse behind the stadium” thing, and have plans to upgrade Camden Yards with an open concourse). 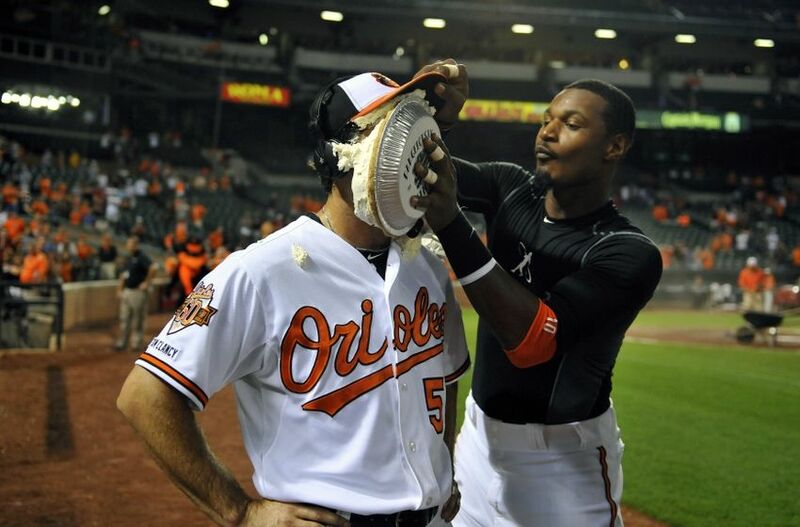 When the Orioles slam pies into each others’ faces, it doesn’t seem played out. Most importantly, Camden Yards has the best crab cakes in baseball, but have upgraded their concession offerings to include a hot dog smothered in crab macaroni and cheese. Seriously, I’d rather eat that than turkey this Thanksgiving. Here are the five (serious) things for fans of the Baltimore Orioles to be thankful for heading into the 2016 season. Give thanks, prepare for Spring Training (never too early), and if Uncle Leo scores a big touchdown, don’t be afraid to slap a banana cream pie in his face.